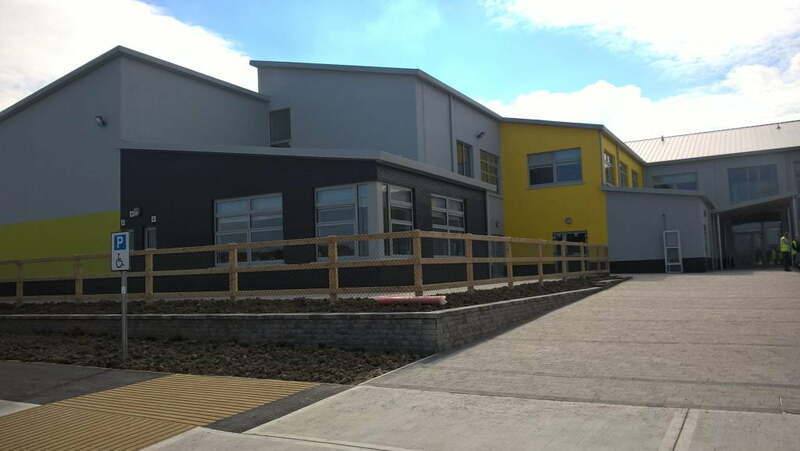 The works at Scoil Chaitlin Maude, Killinardan, Tallaght were carried as part of the Rapid Build School Programme 2013-2015. 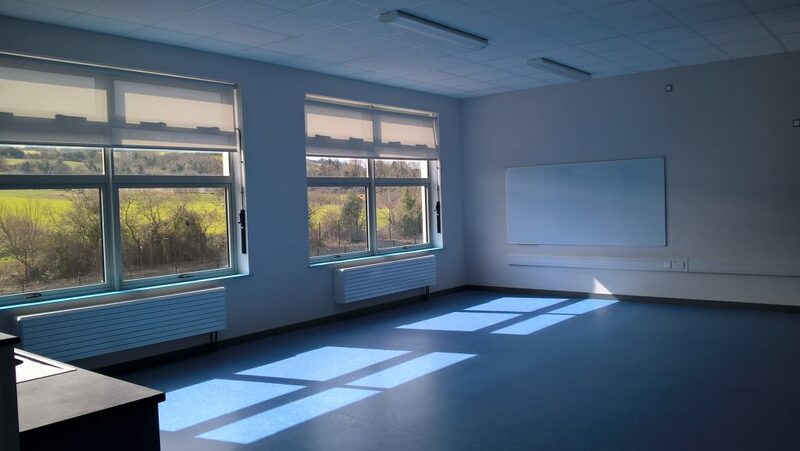 Western Building System were contracted by the Department of Education and Skills to provide a new two storey 18 classroom school that measured 2795m2. 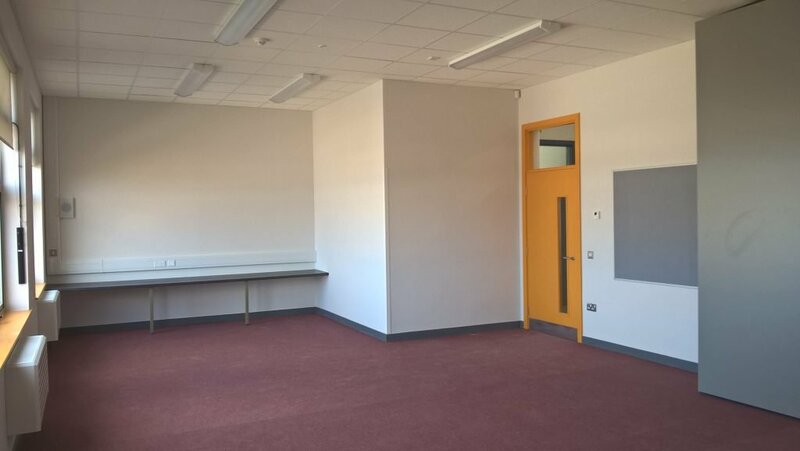 The works at Scoil Chaitlin Maude also included the provision of a new General Purpose Hall, a library/ resource room and a SET facility. 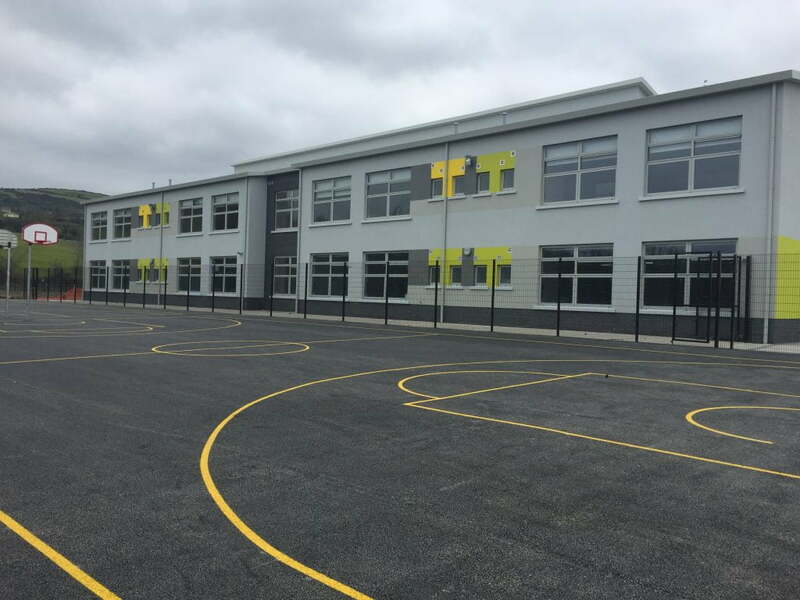 WBS were responsible for all site works and subsequent ground works and this included the provision of two full size basketball courts, and car parking spaces for 32 cars. A number of bicycle shelters were also provided for students. 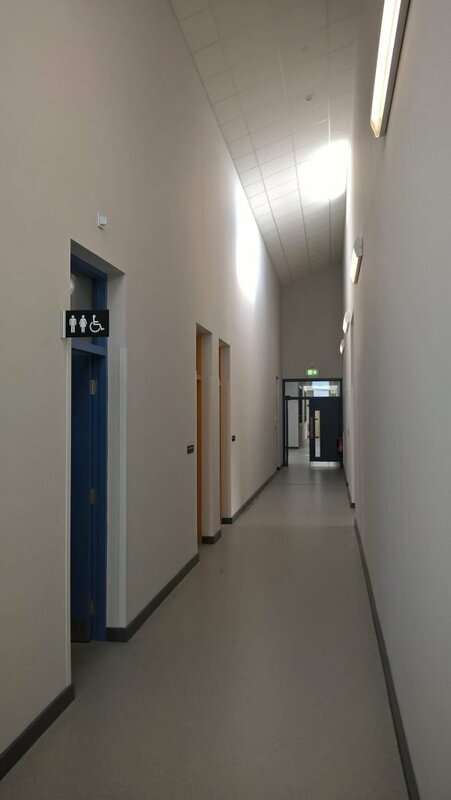 As the Lead Design and Build Contractor on the project, Western were responsible for all works on the project. 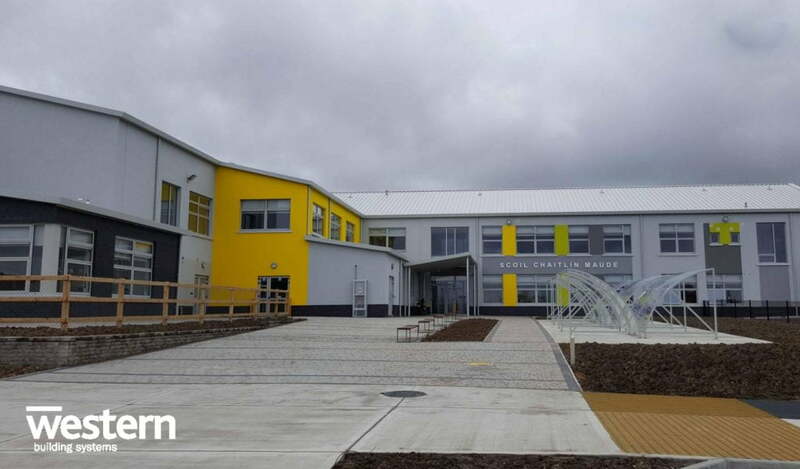 The building on this project began with an off-site manufactured structural steel frame, with a poured concrete ground floor slab and off-site manufactured precast concrete 1st floor slabs. Monolithic floor screed / slab were poured early in the programme to allow trades to enter the rapid build process as early as possible. External wall panels were manufactured off-site and installed on site as the structural steel frame installation progresses. 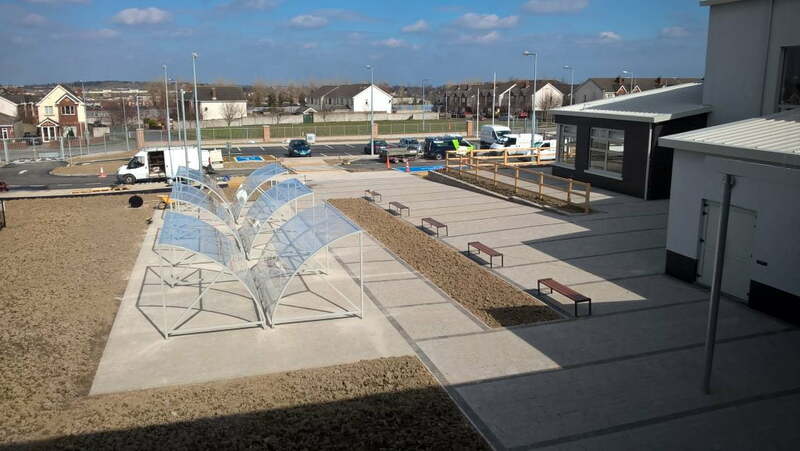 Immediately upon steel erection, off-site manufactured insulated Kingspan roof panels were installed. 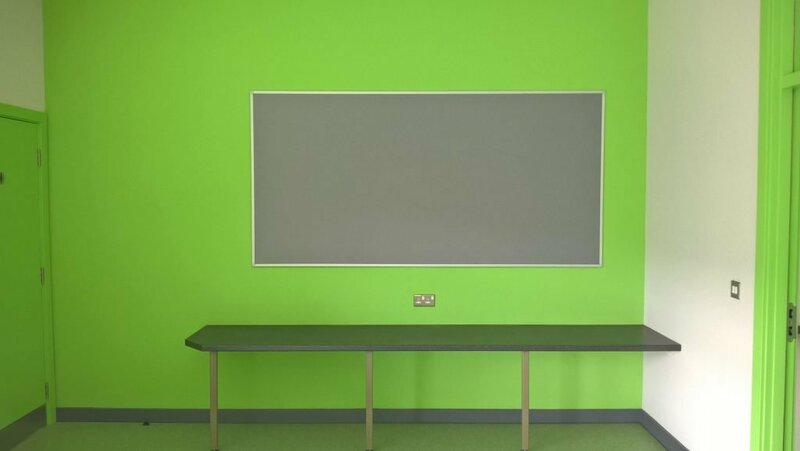 This protection from climatic conditions enabled all trades such as Mechanical & Electrical and internal partition contractors to commence their works. 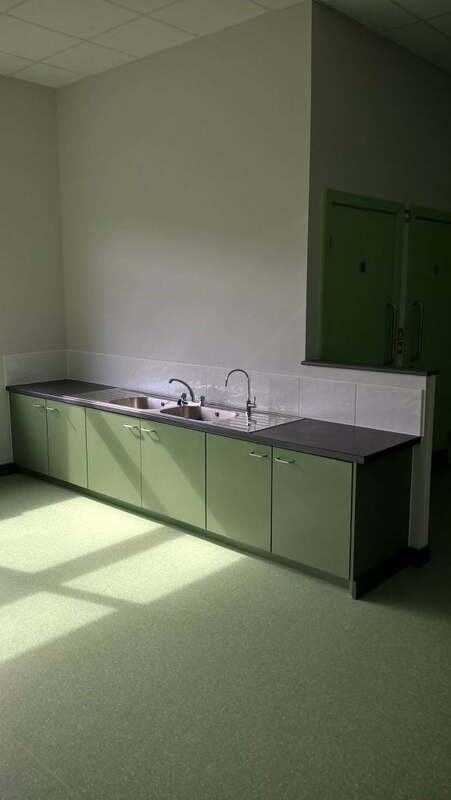 The internal finishes and fit out were completed as part of the contract, with finishes selected by the client. 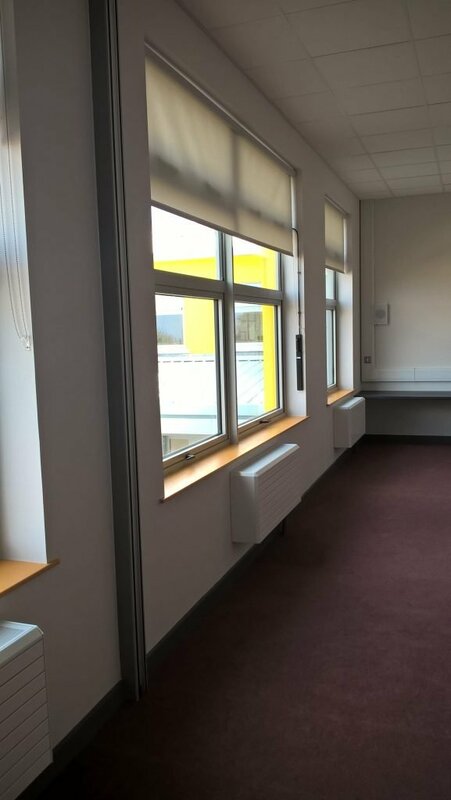 The building was completed to a turn-key finish leaving the students and staff of Scoil Chaitlin Maude, with a stunning new state of the art school complete with sports and parking facilities.